Get the 1920s flapper make-up look. It isn’t often that a genuine manual of make-up and beauty advice from the flapper days of the 1920s comes along, but this is one of those times. 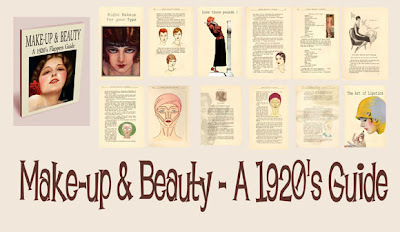 A beautifully illustrated and lovingly restored e-publication of an original beauty guide for women in 1925, this little book is filled to the brim with girlish advice for young ladies in an era when women first began to experience the true feeling of liberation, and of their own feminine power. What beauty type are you? How to care for and dress your 1920s hair. 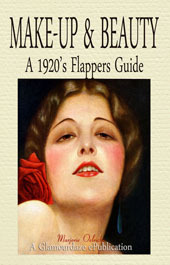 Any self respecting Flapper would want this book ! More posts on the way about our other fabulous vintage make-up guides from Glamourdaze. How glam! I love these guides- modern ones seem to have just one look per era, of course it was much richer than that with so many fads and fashions!